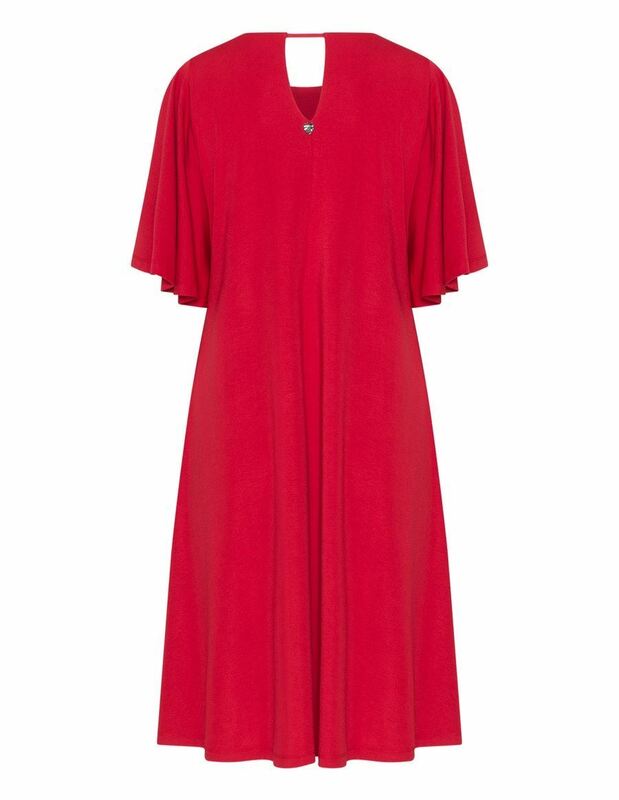 This red dress by Mat adds a sensuous feel to your look. Fashioned from soft stretch jersey, the design has a flattering A-line cut that skims over your figure. 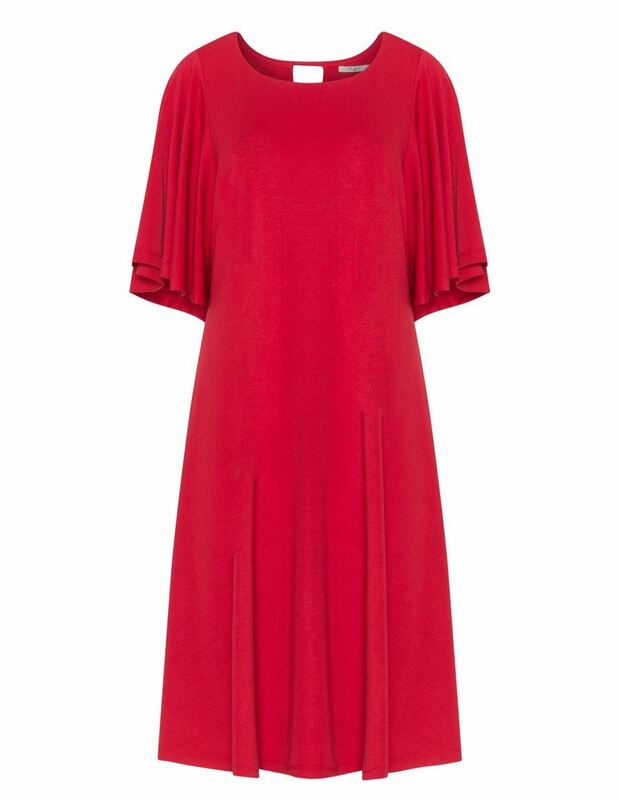 The billowy butterfly sleeves and the cute cut out at the back of the neckline make this dress ultra feminine.